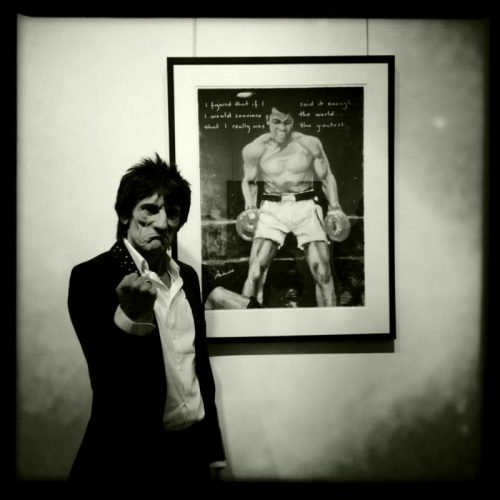 On Monday, April 9, 2012, Rolling Stones band mate Ronnie Wood showed off his artistic side at the unveiling of his exhibit Faces, Time and Places in New York City. The exhibition will run for 3 months in NYC at 498 Broome Street at West Broadway. This is a busy month for Wood, who will be inducted for the second time into the Rock and Roll Hall of Fame in Cleveland, Ohio this Saturday, and he will perform solo at the Golden Nugget in Atlantic City on Saturday, April 21.